Who Is Liable for Injuries at School? When a child is injured at school, examining when the injury occurred, whether the school knew about the hazard, and whether they kept up with their duty to keep kids safe can help determine liability. Every year around 3.5 million children receive injuries while on school property or at school outings. An estimated 10 percent of school-related accidents cause major injuries that require medical care, leaving parents with costly medical bills. About 70 percent of school injuries occur during physical education class or recess. Approximately 40 percent are related to inadequate supervision. Schools have a legal and ethical responsibility to watch out for the safety of the children who attend. Providing a safe environment free from known hazards and maintaining proper supervision at all times is known as a “duty of care.” When these responsibilities are not properly met and a student is injured, the school may be held liable. When Is a School Liable for Student Injuries? 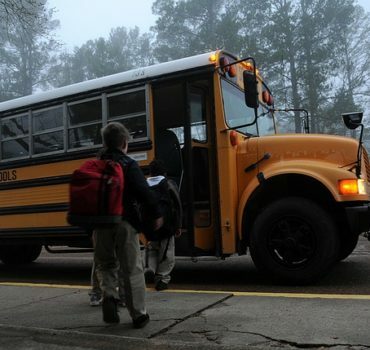 Determining if a school is liable for student injuries is not always easy. One of the primary factors to consider is whether or not the school knew or should have known about the danger that caused the injury. For example, if a playground has an inadequate level of mulch to provide adequate cushioning, and a student breaks his arm falling from the structure, that could be the school’s fault. If, on the other hand, a student spilled her milk in the cafeteria and another student slips and is injured, the school may not be liable. There may not have been enough time for the school to know about the liquid and properly clean it. Another factor is whether or not the student was supposed to be on the property at the time of the accident. Students who break into the school property or use the facilities after-hours and are injured are responsible for their own injuries. Finally, any person causing an injury must be considered. Employees who cause a student injury are the responsibility of the school. When another student causes an injury, with the exception of known bullying situations, the guilty student and that child’s parents are likely the liable parties. An injury lawyer can help parents understand their rights and determine whether they have a valid claim against the school.